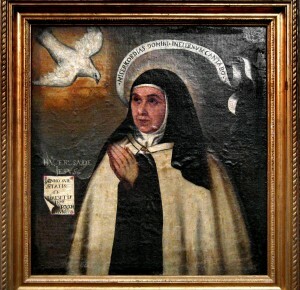 so the day following Teresa’s death became 15 Oct.
A woman of great humility and courage, she herself struggled with prayer during her early years as a Carmelite nun. However, after her deeper conversion she was able to assist others on the journey towards God. A key figure in the reform of Carmel, her inspiring works are some of the best and most complete descriptions of the spiritual journey and widely read even today.